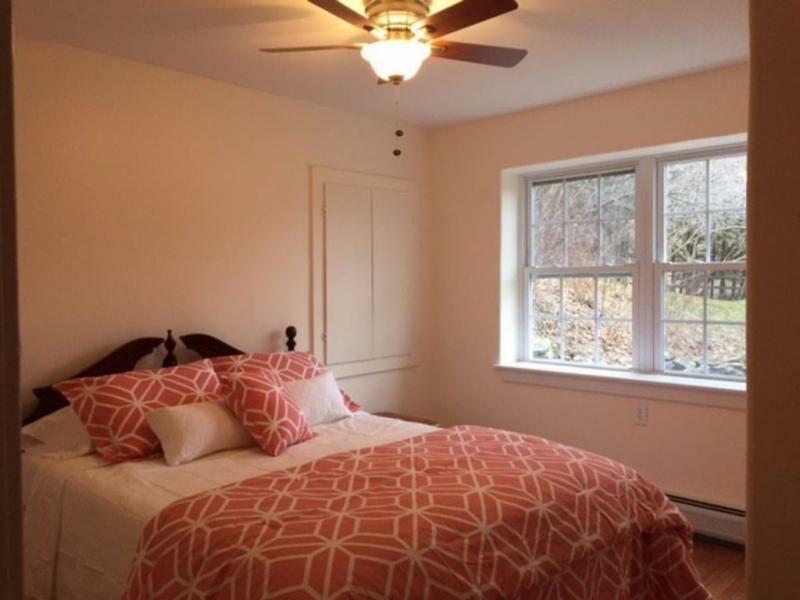 NEWLY RENOVATED/REMODELED HOUSE!! 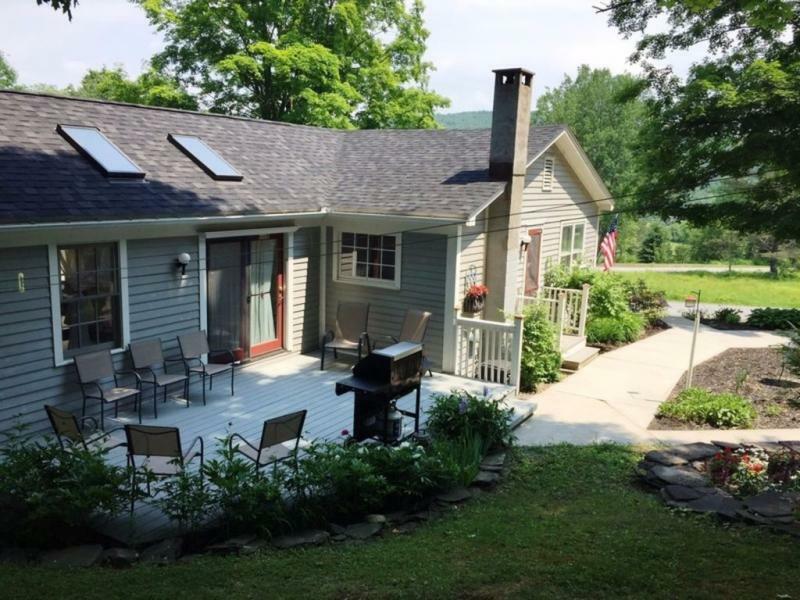 At the Cooperstown Cottage, guests will enjoy a newly renovated/remodeled home with four bedrooms (each with flat screen Cable TV), two full baths and two living rooms (each with widescreen Cable TV). 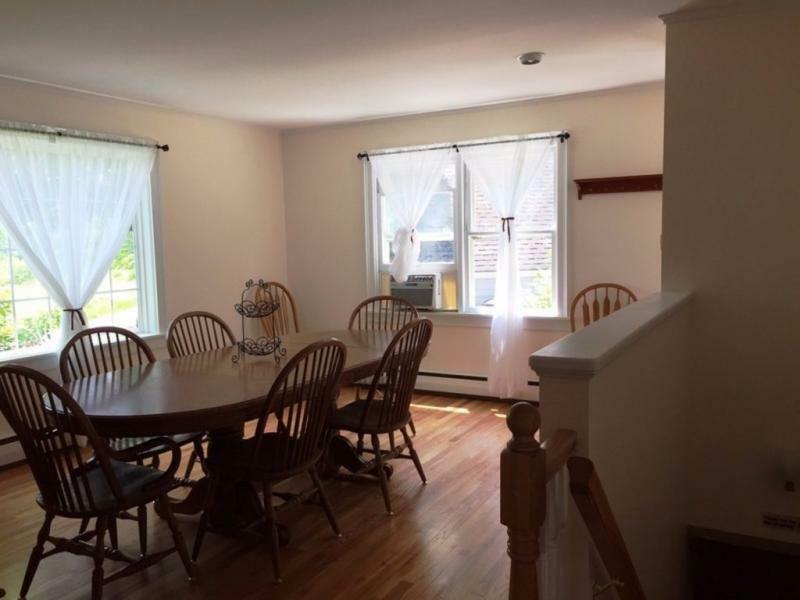 This two level home features beautiful hardwood floors throughout, new furniture and all new amenities. 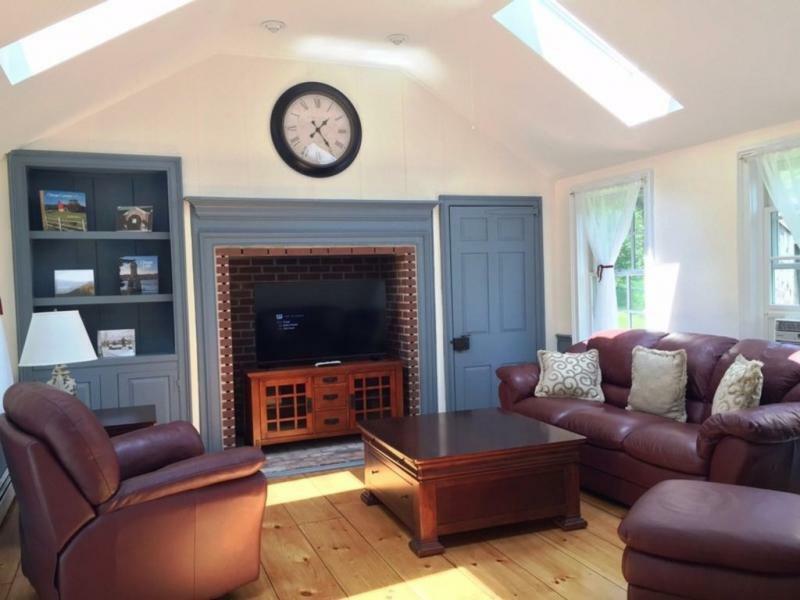 On the main level, the living room, is, complete with widescreen Cable TV and skylights. It is open and airy with French doors leading out to the furnished patio area. There is a full kitchen and large dining room with a picture window offering views of the scenic valley and rolling hills. The two bedrooms on this floor, one king and one queen, as well as one of the full bathrooms. Downstairs, there is the second living room with widescreen Cable TV and couch. There are two bedrooms, each with a queen and flatscreen TV. 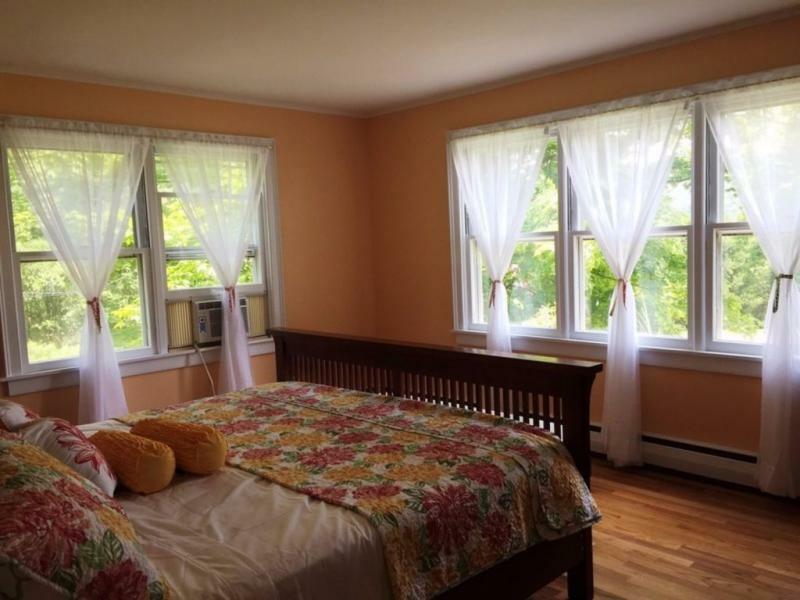 One of the bedrooms has French doors with access to the large backyard/second entrance. An additional full bathroom as well as the laundry room are also on this floor. 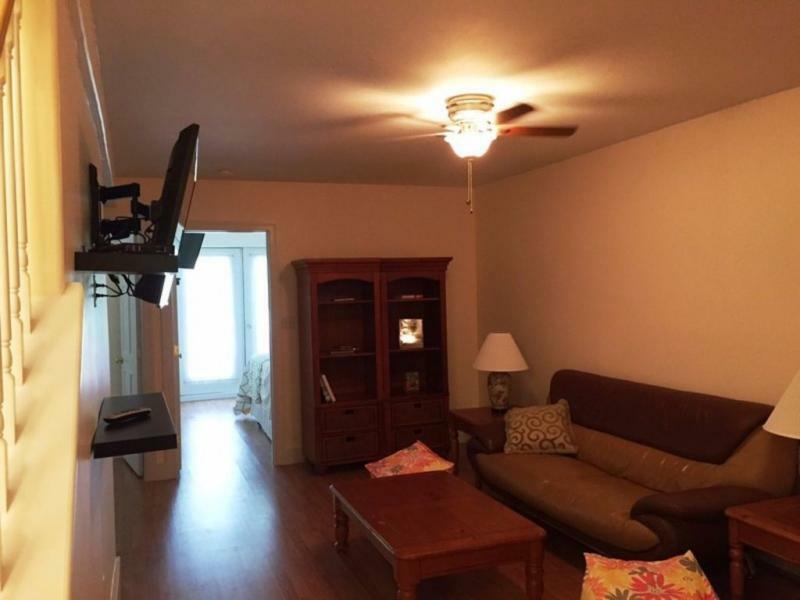 Additional household amenities A/C, wireless high speed internet access and washer/dryer. Outside amenities include a campfire pit, outside seating area and gas grill. There is a two car garage with a ping-pong table for additional enjoyment. Outside enthusiasts can enjoy the adjoining acreage for walks and hikes! The Cooperstown Cottage is conveniently located to all of our local attractions; just two miles to the Village of Cooperstown, the Clarks Sports Center and five miles to the Dreams Park! Village of Cooperstown, the Clarks Sports Center and five miles to the Dreams Park!